A street sign in a West Belfast estate should be removed as it is an insult to the district, say some residents. 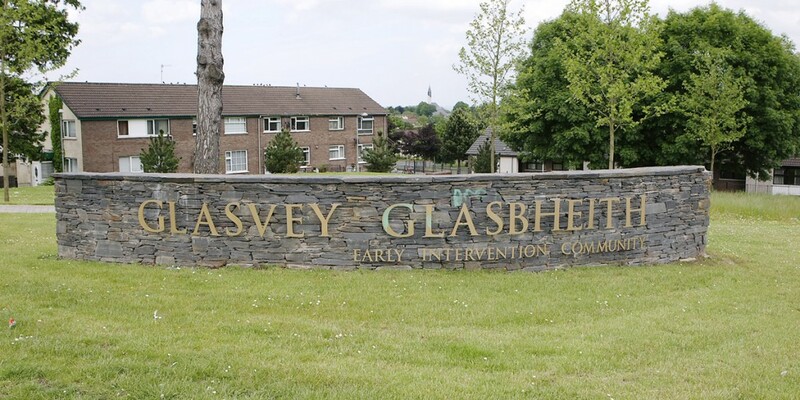 The sign at the entrance to Twinbrook reads at present ‘Glasvey/Glasbheith Early Intervention Community’. It was erected over a year ago and has since been gathering criticism from locals who say it sends out entirely the wrong message. An ‘early intervention community’ is one where there are high levels of economic and social deprivation and where community representatives and statutory agencies are tasked with working together to improve the lot of the people. However, some residents of Twinbrook are angry that a sign has been erected flagging up the district’s negative side. “It’s an embarrassment, to be honest,” said one local lady. “This is and always has been a strong community but this infers we are a hopeless bunch. Another resident, a mother-of-three, agreed. The sign was erected a year ago at the behest of the Colin Neighbourhood Partnership (CNP) who told us that the feedback is welcome. They added that, after consultation with local people, they are taking the sign down. “This term is one used by governments across the world,” explained Annie Armstrong, the CNP’s Manager. “We are trying to break the cycle of disadvantage from the earliest of stages, before a baby is even born. Two million pounds has been invested in this area to do just that. While the terminology is used by government, we have been thinking about changing it for some time as for a different audience it can infer some level of negativity.